Inspiring historical attractions and stunning scenery are two of the many reasons people are drawn to Edinburgh. Why not make the most of your time in this vibrant capital city of Scotland and visit one of the fantastic indoor and outdoor go karting tracks available. Whether you’re looking for the perfect venue to host your corporate karting event, or you wish to make that birthday party extra memorable, thrill seekers will be impressed with the selection of karting activities Edinburgh has to offer. 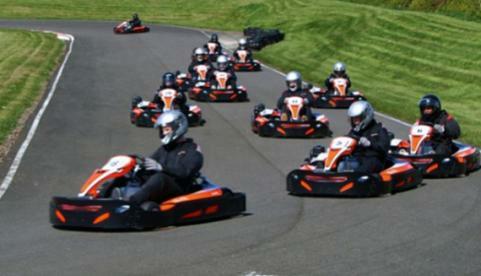 Set only 20 minutes from Edinburgh city centre, Raceland is the largest Karting and Paintball centre in Scotland. This leisure venue is perfect for a family day out, offering a massive outdoor karting circuit as well as an indoor circuit and custom-built paintball play zone. After your adrenaline filled activities you’re sure to work up an appetite, so why not dine at Raceland’s on site restaurant Jan’s diner. Raceland delivers a variety of activities aimed at under 16’s, groups and individuals, including stag and hen dos, cadet karting and Arrive and Drive. Alternatively, you can experience Edinburgh’s only official 5 star rated karting centre Xtreme Karting. Situated indoors only 10 minutes from the city centre, a full day of activities awaits you including combat, golf and paintballing. 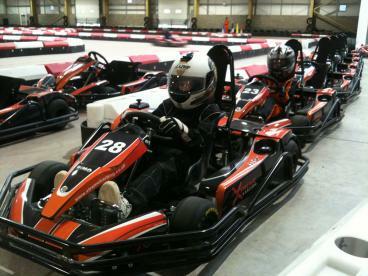 Xtreme Karting is also an ideal venue for Stag and Hen Parties with VIP club passes and mini bus hire available. A corporate package can also be arranged for you if you are looking for a venue to take your staff on an adrenaline filled team building day out.